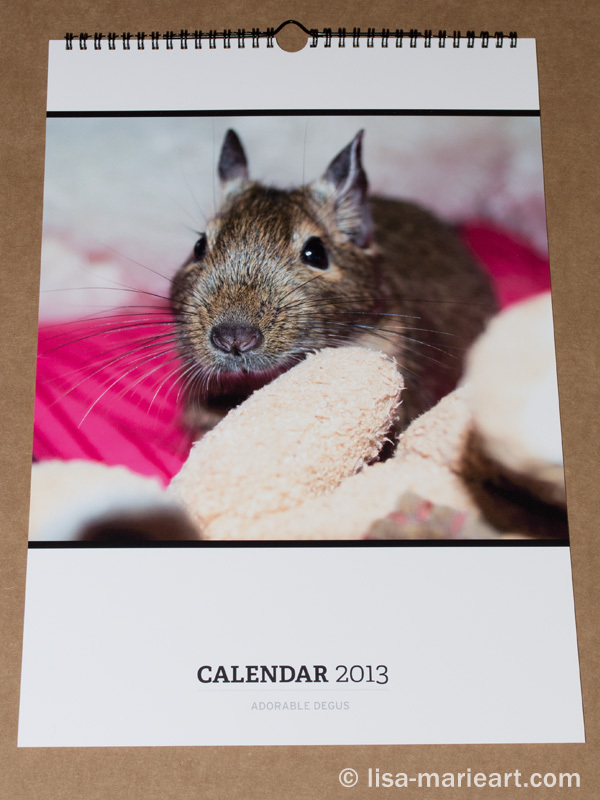 The curiosity got the better of me and I finally ordered myself a calendar from Redbubble. I’ve sold a few calendars through them (thank you to those that have bought one) and I wanted to see what the quality was like for myself. 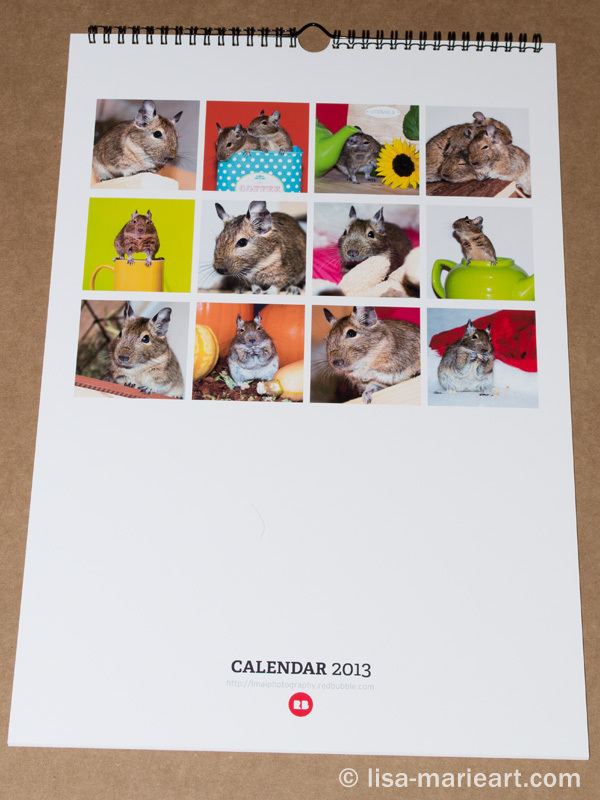 Rather than buy one of my artwork I decided to get one that I put together of my degus. There was a bit of a delay with production but the 19 day wait was well worth it because I can’t believe how much love and care has gone in to making the calendar. I Must admit that they are a little pricey (even more when you add shipping to the UK) but they are worth every penny. 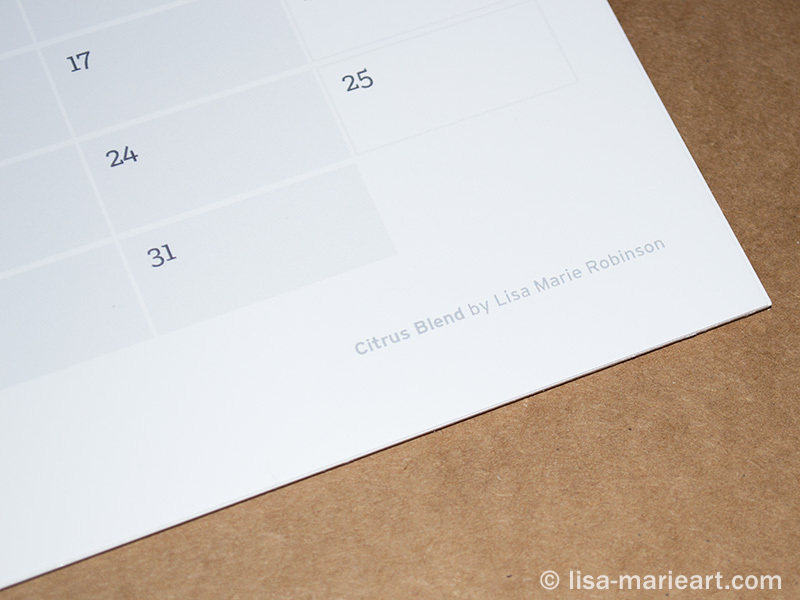 The paper used for the calendar is twice as thick as a regular store-bought calendar and the printing is superb. I love that each month has the title and author of the image printed in the bottom corner but what pleases me the most is the attention to detail. 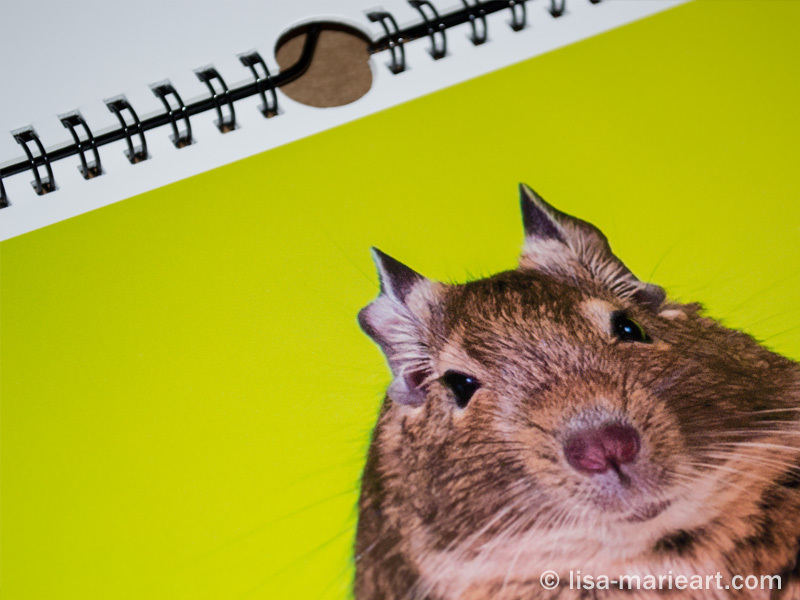 The wire binder has been kept well away from the image so not only do you have a calendar, when it’s out of date, you also potentially have 12 little prints to frame and keep. Bonus. *This post is my honest opinion of the product I bought. I did not receive any financial reward for writing this post.